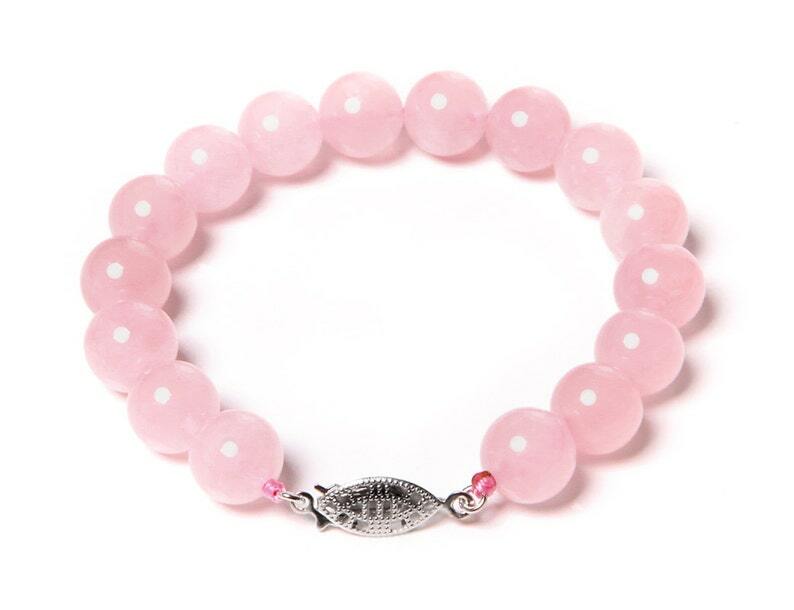 This Beautiful Rose Quartz Bracelet has an amazing pink color. These Rose Quartz beads where cut from high quality rose quartz gems and are stunning. Rose Quartz is the gemstone of Love and this rose quartz bracelet is a great gift for someone you love. Every item will be well packed in a beautiful silk jewelry bag to match the gorgeous jewelry inside. Every piece of jewelry will be shipped within 1-3 business days. Canada Post Shipping typically takes 2-7 business days within Canada and 2 to 9 business days within United States depending on your location. We offer 30 days Money Back Guarantee. If you're not satisfied with any purchase, just ship the product in original condition back to our Ontario, Canada office and we will issue a refund minus shipping chargers. No question asked. Got this for my boyfriend and he absolutely loves it! Wonderful! Lovely ring! Thank you! We offer 15 days Money Back Guarantee. If you're not satisfied with any purchase, just ship the product in original condition back to our Ontario, Canada office and we will issue a refund minus shipping chargers. No question asked. Every item will be well packed in a beautiful silk jewelry bag to match the gorgeous jewelry inside. Every piece of jewelry will be shipped within 1-3 business days. Canada Post Shipping typically takes 2-7 business days within Canada and 2 to 9 business days within United States depending on your location. For Shipping to the UK all Items are sent Small Packet International Air please allow for 6-12 days delivery. Wholesale for all products available. Please message us we will gladly provide you with world class wholesale pricing for lots.